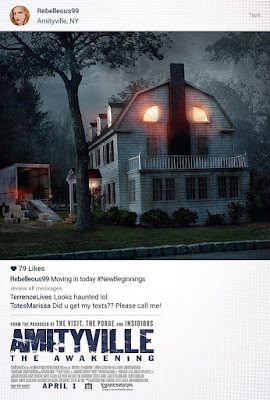 Amityville: The Awakening stars Jennifer Jason Leigh as Joan, a mom who uproots her family and moves them into a new house. She wants to be closer to a hospital with a topnotch neurology department that will help care for her comatose son James (Cameron Monaghan). Bella Thorne portrays James’ twin sister, Belle, while Grace plays little sister, Juliet. Soon, strange phenomena begin to occur in the house –including the miraculous recovery of James. It leads Belle to suspect that their mother isn’t telling them everything. Belle eventually realizes that they have moved into the infamous Amityville house, a place with a horrifying history. Jason Blum is producing the film for Blumhouse Productions with Casey La Scala (Grind) and Daniel Farrands (Halloween 6). Franck Khalfoun (P2, Maniac). 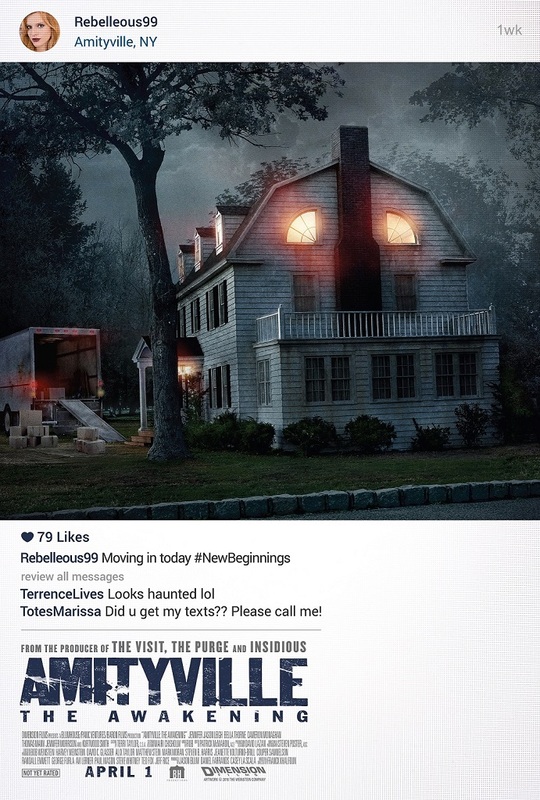 Amityville: The Awakening Hits theaters on April 1st 2016.... No, that is not a joke.